Tax avoidance isn't illegal. I doubt there is a single person in the UK who has ever tried to arrange their tax affairs in order to maximise the gain to HMRC. 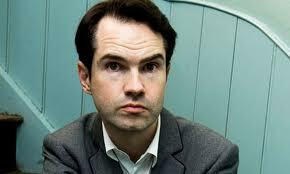 This makes a lot of the criticism of Jimmy Carr’s tax arrangements sound, at best, like moralising hot air. At worst however, it betrays an ugly impulse to blame individual scapegoats for what are essentially systemic failures, because much of this criticism is based on the notion that rich folk avoiding tax is somehow the cause of the economic crisis. It can’t be said often enough that -according to HMRC- the top 1% of earners are already responsible for 28% of the UK’s total income tax yield, so let’s consign to the dustbin the idea (swallowed hook, line and sinker by the twitter lynch mob) that the economic crisis was somehow caused by rich people not paying tax. Rich folk not paying tax didn’t cause the crisis and making folk pay more tax won’t end it. You might as well put your faith in throwing virgins down wishing wells, because we will only recover once we have created something that at least resembles a productive, wealth-creating economy. For once, Ed Miliband got it right when he said, more or less, that politicians have no place passing moral judgements on someone who was merely exploiting the loopholes allowed by a stupid system. David Cameron, in playing to the gallery, now looks even less impressive as a Prime Minister. He appears to be proposing the introduction of another idiotic piece of tax avoidance legislation, but this will do little except make more work for clever and expensive accountants. Our tax system is already absurdly complicated; some people pay too much and some people don’t pay enough. Other countries, with flat, low tax rates, have higher tax yields than the UK; the flat rate of tax is perhaps an idea whose time has come. I have no opinion on where Jimmy Carr's moral compass should -or shouldn't- point and no particular view on his comedy, but I was disappointed to observe that he was cowed into making a grovelling apology. I would have been more impressed by this ‘edgy’ comedian if he had had the cojones to say: "I didn't make the law and I didn’t break the law. When you change the law, I will gladly change my tax arrangements".